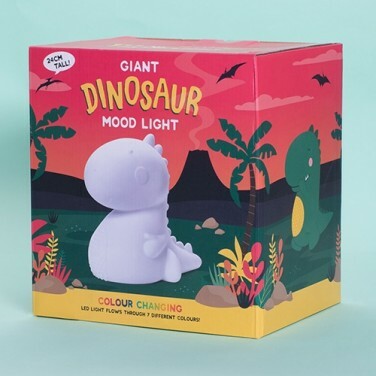 Packed with character and colour change light, this adorable dinosaur mood light is super sized standing at an impressive 26cm tall! Battery operated for easy placement, this sweet chunky dinosaur is made from durable soft white plastic and then lit with colour change LEDs that phase through a seven colour light show for mesmerising effects! 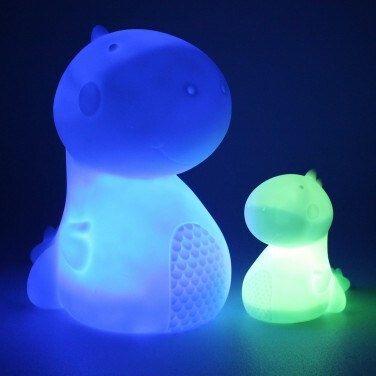 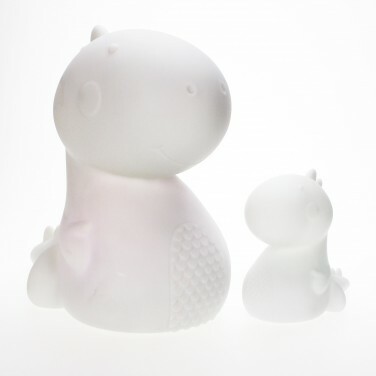 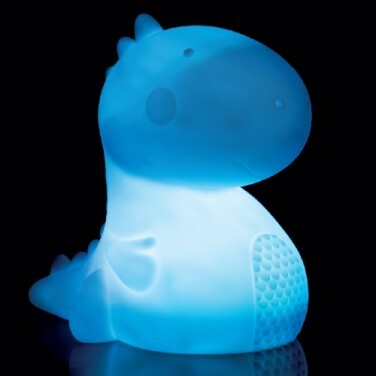 Super sweet and perfect for kids rooms, this friendly dino can be used as a mood light or as a night light soothing with colourful light.